Waller St. Brewing is a hidden gem. Both figuratively and literally, since the below-ground location (wallerst.ca; 14 Waller St.) isn’t easy to find. Instead of turning left toward the touristy Byward Market after crossing the construction-jammed sidewalks from downtown Ottawa, hook a right on Waller Street instead. Follow a stone-paved alley between two standard-looking pubs to find a tiny descending staircase. Travel down and pull open the heavy door to reveal a tasting room, brew house and grain storage, all sharing a space no larger than a corner convenience store. A soft glow illuminates the small room, emanating from the backlit mosaics along the top of the antique mahogany bar at its center. The ceilings are low, but they glint with molded tin. Instead of feeling crowded, the room feels cozy, like you’ve stumbled onto a special secret. 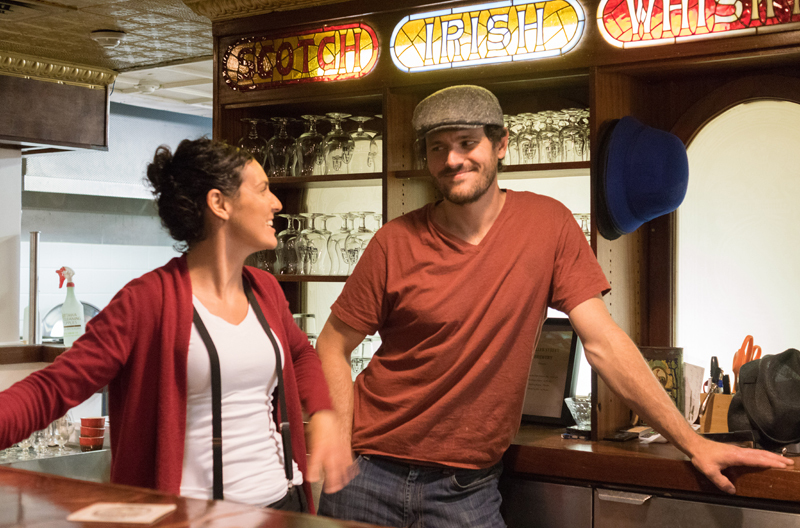 It fits perfectly with the brewery’s theme: speakeasy. Photos hanging on the cream-colored walls are full of suspendered men and pearl-draped women, fringe-edged flapper dresses and patterned bow ties. 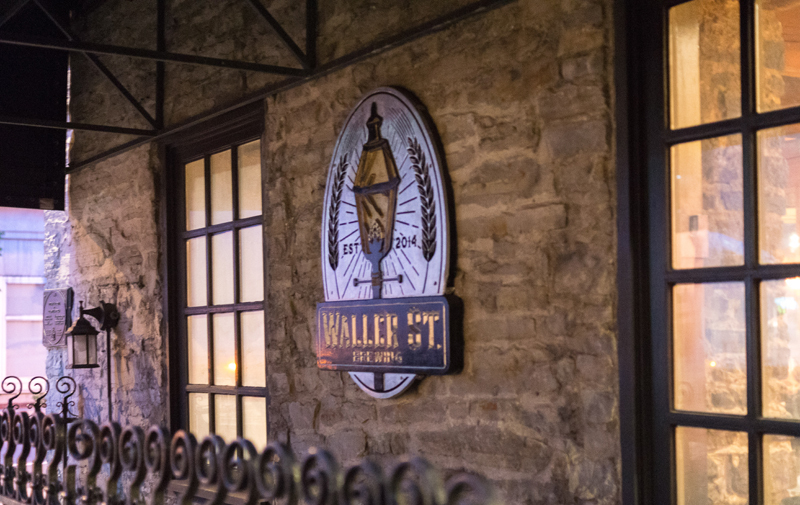 A closer look shows they’re not actually vintage—“Waller St. Brewing” signs appear in the background. Turn back toward the bar to discover the beer follows the game plan, with a list of names like Bootleg Blonde, Speakeasy Red, Hideaway Hefe and Moonlight Porter. Across the room, the dim light is just enough to make out the silhouette of brewer and co-owner Marc-André Chainey, wearing his signature ascot cap and tinkering with his creation. The entrance to Waller St. is so narrow, Chainey will explain, that he couldn’t get a regular brew kettle down the steps. So he developed his own, a Frankensteinian amalgam of four separate pots connected by valves and pumps so they boil in carefully arranged tandem. The steel fermenters were soldered together from two halves; the wooden barrels that surround them were built in place. The beautiful thing: it works with aplomb. Chainey’s more into hops than many other brewers in Ottawa, where dozens of independent operations have popped up over the past five years—so many that it might be the most overlooked Canadian destination for American tourists who travel in search of great beer. Blonds are the city’s must-do style of the moment, and Waller St.’s is as good as any of them, clear and golden with a citrusy start balanced by a grassy grain finish. But even better is Chainey’s Speakeasy Red. The official style description is a mouthful (Belgian American Red Rye Session IPA), but the beer itself is much smoother, with a raft of floral hops atop a nutty, caramel undertone. There’s also a seasonal IPA called Blind Pig, and though it wasn’t meant as a nod to Russian River Brewing Co. (which makes a world-renowned ale of the same name), it could’ve been, with a hoppy bold bite that ranges from pine to fruit. Watching over the brew den fondly on many evenings is one of its biggest fans, an older gentleman with a long white beard. He’s known to regular patrons as David, and from behind a tulip of his bespoke blend, a mix of blond and porter, he’ll offer wisdom in a heavy French accent.